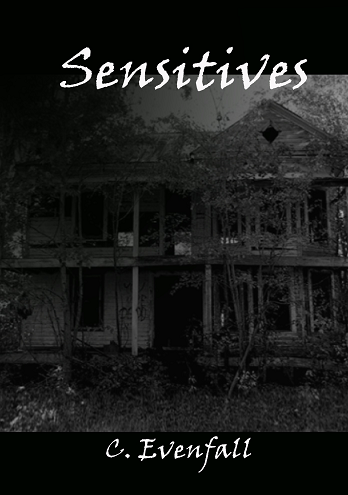 Sensitives is the first novella in the series titled; The Wraith of Carter's Mill. The series will include three novellas published in Kindle format. A paperback compilation will include a fourth story, which will only be available in the paperback edition, and will be available late 2014. Libby Martin has built a good life far away from her childhood home and its dark memories. After two decades, a death draws her back where an insidious spirit still waits for her. Libby is plunged into a whirlwind of long buried family secrets. As her daughter’s supernatural abilities become known to her, she discovers her own. Libby must learn to overcome her own fear if she is to protect her family from the dark figure who has haunted them for generations. I would very much like the ability to read minds. I have received some very warm and encouraging comments from other authors in regard to the quality of Sensitive’s. Sensitive is a believable ghost story that will cause you to watch the edge of the woods whenever you pass. My favorite food ever is chocolate cake. Not just cake with chocolate frosting…but real chocolate cake. I am currently reading Anne Rice’s Wolf chronicles. Charlotte’s Web of course ! Much prefer the beach, I like the sand. I think everyone should read Atlas Shrugged by Ayn Rand. I have recently finished the sequel to Sensitives, The Guardians and it is available now in Kindle format on Amazon. The third book in the series, titled The Forgotten will be released soon. Later this year, we will release the compilation titled The Wraith of Carter’s Mill. This special paperback edition will include the first three novellas in the series as well as a fourth story, Carter’s Mill, which will only be available in the paperback edition. At aged six, C. Evenfall experienced the paranormal firsthand and has been seeking answers ever since. Her fascination with the unexplainable and her love for old family ghost stories inspired her to write a collection of novellas. Each inspired by the experiences passed down through her family for generations.